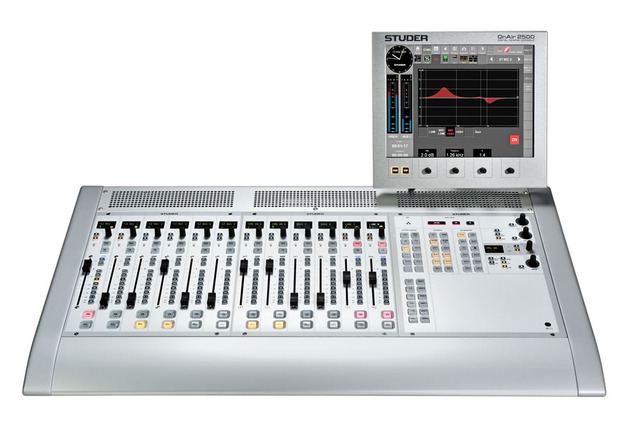 Studer’s new OnAir 2500 digital all-in-one console utilises the well-established software technology derived from the highly acclaimed OnAir 3000 console to deliver a new standard in ease-of-use for Radio Broadcast. 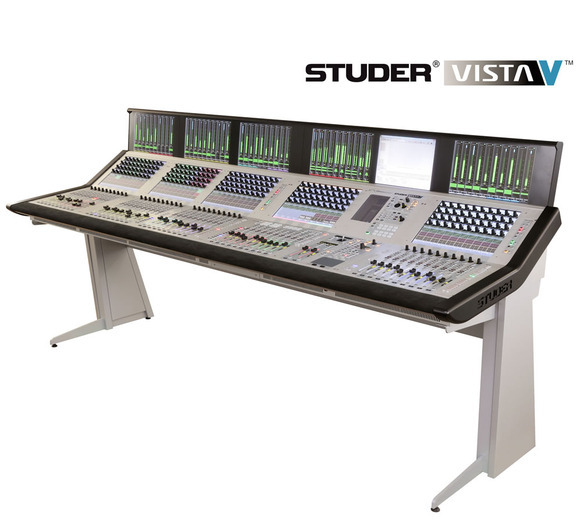 The Studer OnAir 2500 is a totally self-contained system and builds upon the operational concepts of its successful predecessor, the OnAir 2000. 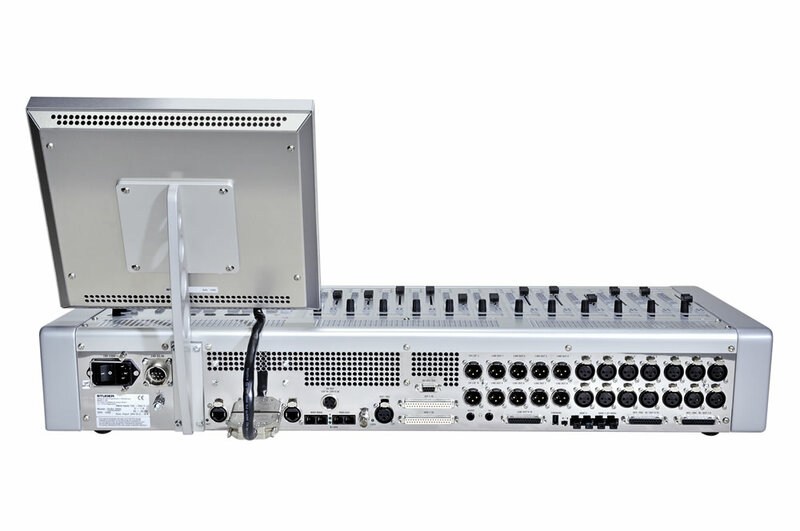 With the OnAir 2500, the control surface, I/O breakout, DSP Core and power supply are all integrated within a single compact chassis. 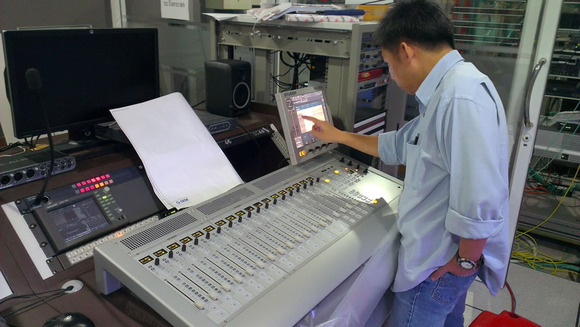 The fader strips include a graphical OLED (Organic LED) screen, which contains a channel label, level and gain reduction meter and parameter readouts, adjustable via a rotary encoder and two push buttons below the display. 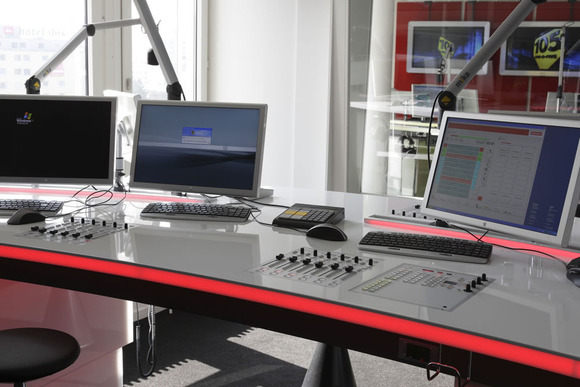 OLED screens have a much wider viewing angle than LCDs, and have much higher definition, so operators can immediately see information much more clearly. The large TFT colour touch screen uses Studer’s patented Touch’n’Action system, where only the most important functions have hardware control elements in the channel strip making the operation of the console very simple and stress-free. 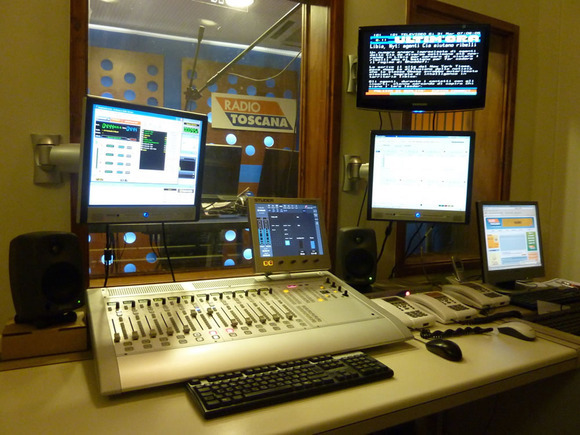 The touch screen can also display all the relevant settings and configurations for each channel in addition to the OLED displays. 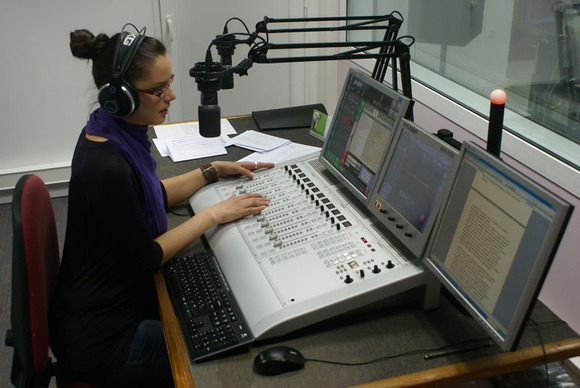 A simple touch on one of the 8 small channel pushbuttons, e.g. 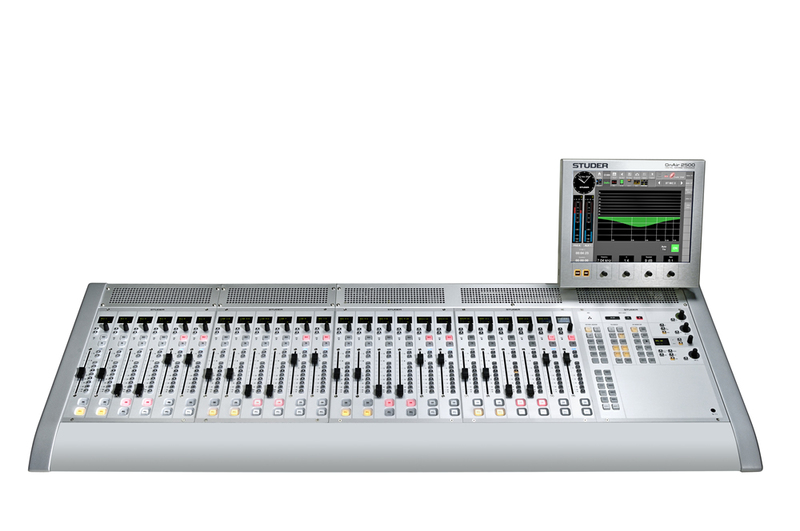 equaliser, dynamics, AUX send, immediately opens the corresponding page on the main screen, allowing quick and easy adjustment. 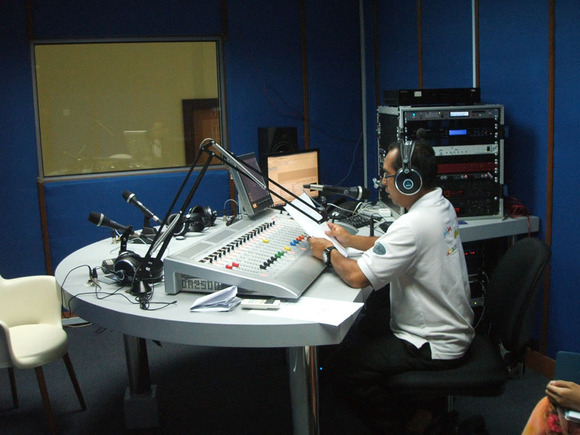 The most important functions are just one finger stroke away, accessible virtually instantly – vital in a hectic, live on-air situation. 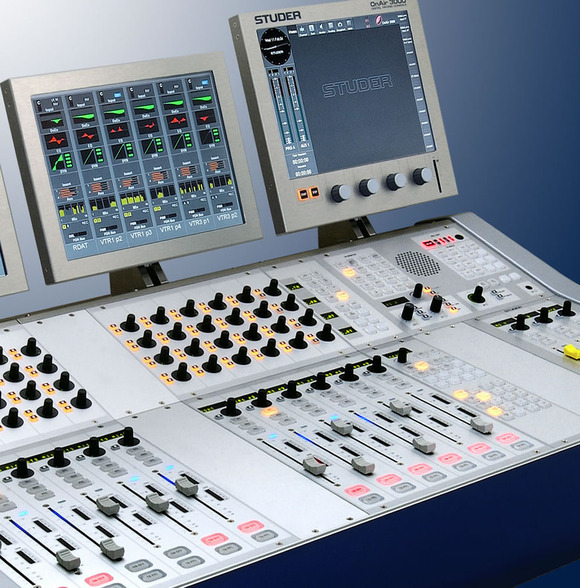 The user interface is designed in the same symbolic language as the highly-regarded Vistonics™ system, and adjusted in a very flat hierarchy without the use of multi-level menus. 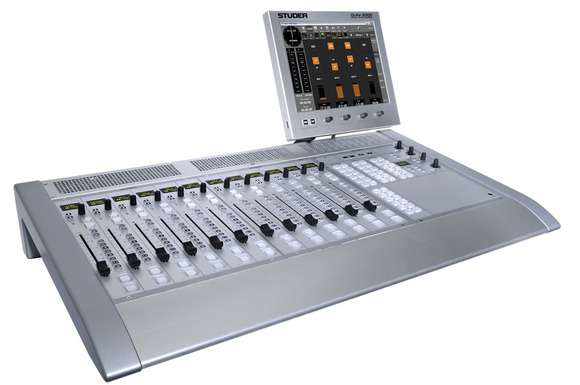 The OnAir 2500 provides the user with a large number of inputs and outputs in many standard signal formats. 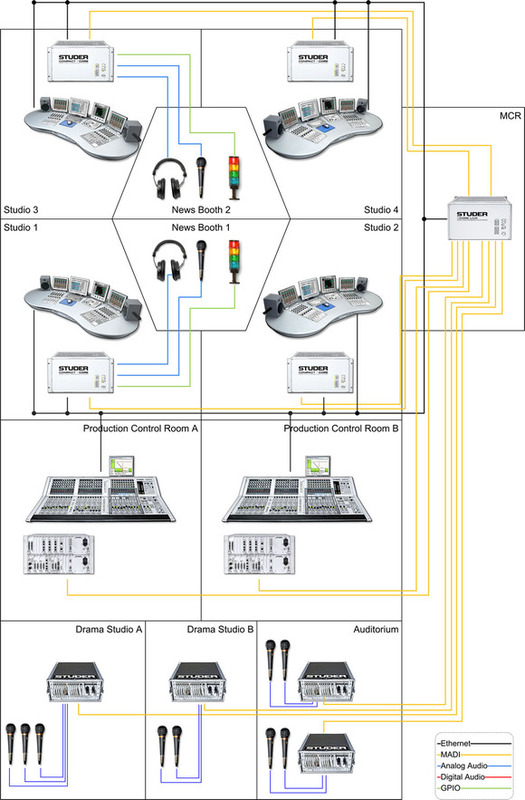 As well as interfaces on XLR and SUB-D outlets (microphone inputs, headphone outputs, line and AES I/Os), the internal audio system also offers interfaces to digital multichannel formats such as MADI, ADAT and IEEE-1394 Firewire. 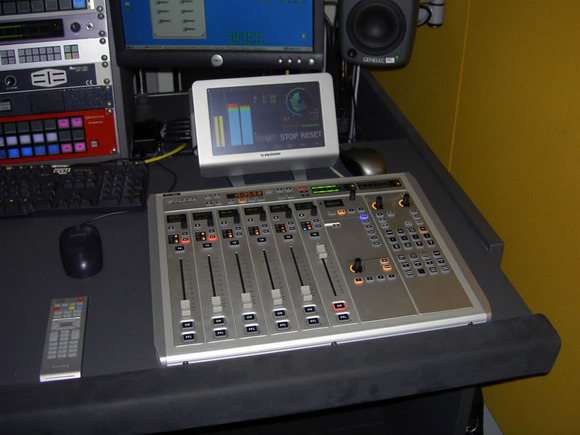 Three standard configurations with 12, 18 and 24 faders are available, with motorised channel faders available as an option. 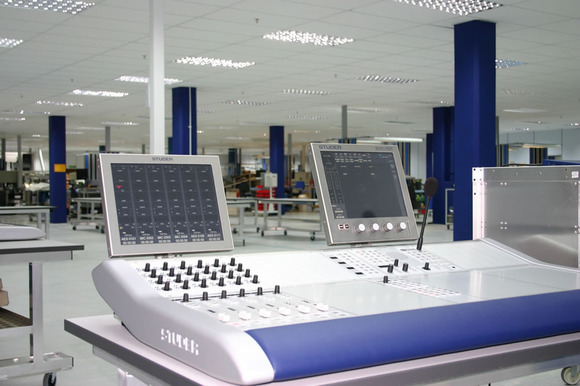 Large illuminated pushbuttons allow access to the main channel functions, editable via the 12” colour TFT touch screen. 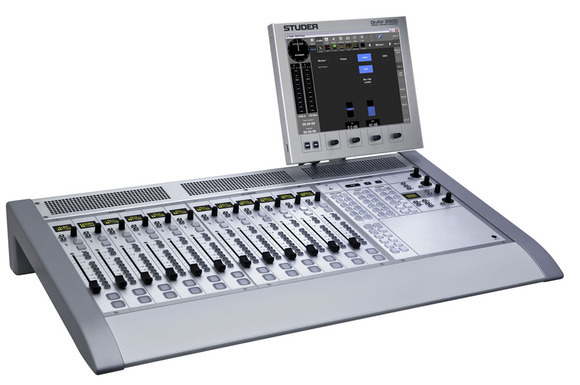 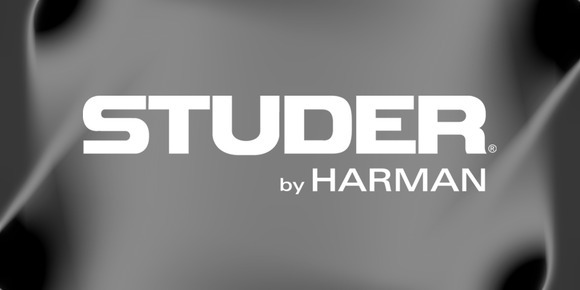 Integration with Studer’s Call Management System (CMS) is seamless, allowing caller names to be dynamically displayed as fader channel labels, while further integration of radio automation systems is easily accomplished using the Monitora protocol via serial interface or TCP/IP. 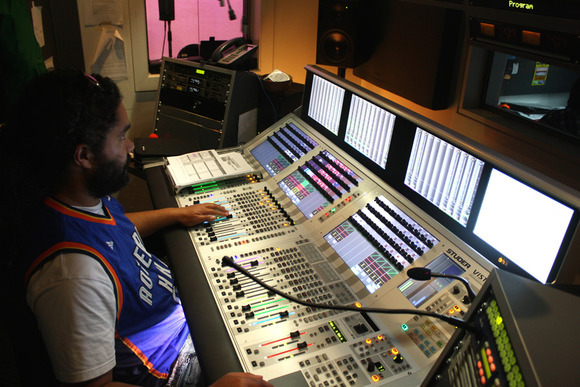 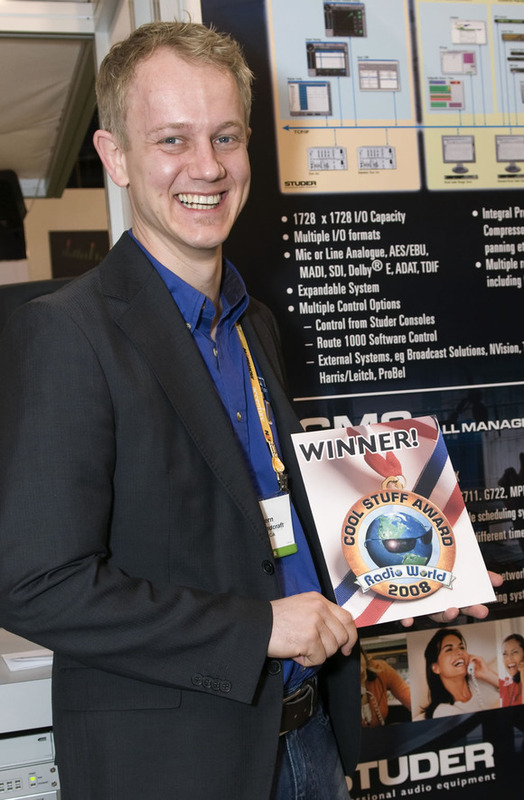 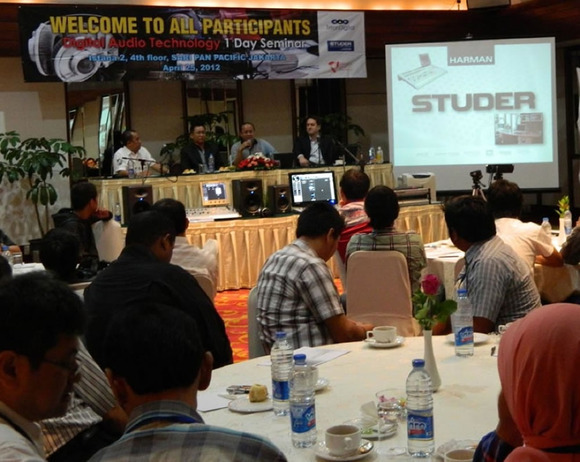 The OnAir 2500 can also support I/O Sharing via Studer’s proprietary networked technology, allowing the OnAir 2500 to share signals with other Studer devices. 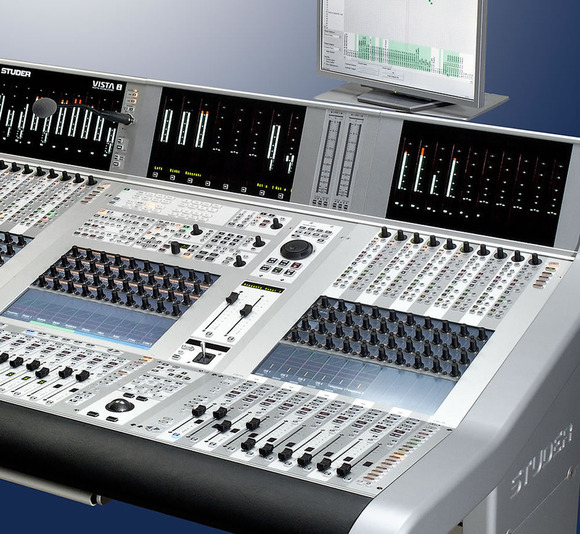 For such a compact package, the Studer OnAir 2500 offers unrivalled flexibility and operational ease.